If the 90's taught us anything, it was that it was finally OK to openly discuss the dark side of humanity. As punk rock began to break free of its Underground restraints, we started to learn a little more about ourselves as a race. While the words and texture of modern music punched holes in the facade of our happy-go-lucky feelings, in 1995, San Jose's No Use For A Name added a chapter to the music-history books with "51 Days"...the number of days surrounding the events of Waco, TX. Vernon Wayne Howell was born in Houston, the son an unwed mother. He grew up in Dallas and according to his grandmother "was dyslexic." After dropping out of school in the ninth grade he moved to Tyler, Texas and at the age of 18 joined an Adventist Church. However, after repeated conflicts with the Adventists he moved to Waco, where he found an obscure communal group known as the Davidians. Lois Roden was then the group's aging leader, and Howell's lover. But eventually, Howell would effectively replace her, as Roden's health and power diminished. After her death Howell traveled to Israel, where he claimed American forces would soon invade and begin Armageddon. After those predictions failed, a heated power struggle erupted between Howell and Rodin's son, and ended in a hail of bullets, with his opponent being convicted of murder and sentenced to a mental facility. After his trial was declared a mistrial in the 1987 fiasco, Howell paid the back taxes on the group's Mt Carmel religious compound, and established himself as the Messiah and new leader of the group. He changed his name to David Koresh: David, symbolizing the restoration of the Davidic Kingdom, and Koresh as supposedly the Hebrew pronunciation for the Babylonian king Cyrus, who allowed the Jews to return to Israel. 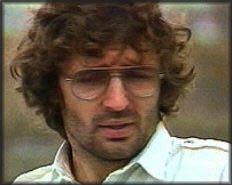 Koresh's new prophetic role was set and he proclaimed the final conflict would now begin in Texas. 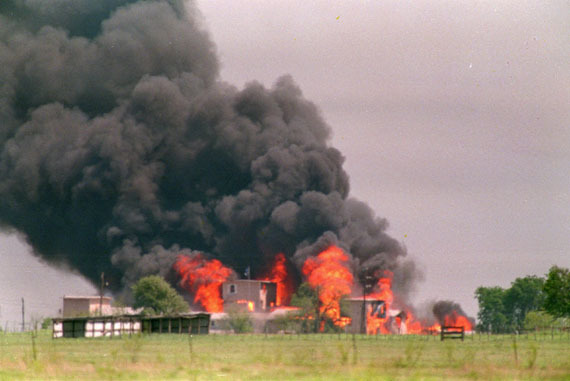 David Koresh's leadership of the Branch Davidians in Waco, TX began and ended in violence. As the cult's new leader, Koresh believed he was charged with establishing and protecting his Biblical "House of David." He purchased hundreds of thousands of dollars worth of military munitions, which were kept at the group's compound for their civilian use. In 1992, a UPS delivery agent reported a suspicious package, addressed to the group's Mt Carmel home, which had broken open during shipping. The mishap revealed a shipment of firearms, inert grenade casings, and black powder. UPS contacted the McLennan County Sheriff's Office, and upon further inspection, Chief Deputy Daniel Weyenberg contacted the Bureau of Alcohol, Tobacco, and Firearms, who began a formal investigation, digging deeper into residential complaints of the sound of automatic gunfire coming from the compound. Agents began surveillance on Mt Carmel immediately, which included having a man on the inside posing as one of Koresh's faithful. Following a lengthy investigation, ATF agents were able to obtain warrant to search the religious compound, citing not only the suspicion of the possession and use of illegal arms, but also the possible presence and operation of a meth lab. After the religious group failed to cooperate, answer questions, and resisted federal orders to execute the search, investigators planned a raid on the compound. The raid was scheduled for March 1, 1993, and while those inside the compound knew it was inevitable, the element of surprise was wasted by a nosy reporter, who was tipped off by a local mail carrier who just happened to be David Koresh's brother-in-law. After news concerning the raid began to spread, federal law enforcement officials began to reorganize their activities; however, so did Koresh, ordering several male followers to arm themselves while the women and children took cover. To catch them by whatever surprise they could, ATF officials launched their raid on Mt Carmel a day early. No one knows who fired the first shot. Each side maintains they heard shots from the other side before returning fire. 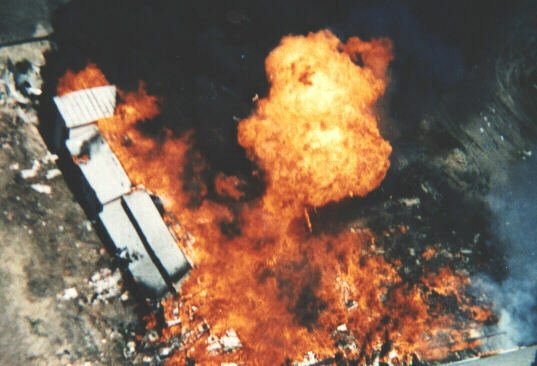 Whether it was accidental is uncertain; however the fire fight that ensued on February 28,1993 left four ATF agents and six Branch Davidians dead and several wounded, Koresh being one of them within the first few minutes of the altercations. Upon learning of the death of four federal officers, FBI officials took over and ordered the ATF to pull back. The next 51 days would become a standoff between federal officials and the religious cult. Federal officials began to negotiate the release of innocents in the ordeal, believing they made headway when Koresh agreed to allow women and children to leave the compound. Koresh bargained for more time, stating he was writing religious documents, and it was believed that he would soon surrender, however as the stalemate continued, law enforcement found negotiations to be more and more difficult. Frustrated by Koresh's followers loyalty and refusal to leave the area, including the children, federal agents turned to US Attorney General Janet Reno apprising her of the deteriorating conditions. She, in turn, brought the case to then-President Bill Clinton. The response, based on the intelligence given, was to give the FBI the green light. Tired and frustrated for waiting, on April 19, 1993, the FBI began another assault on Mt Carmel. Initially, federal agents mounted an unarmed assault, flooding the compound with CS (tear) gas, and using loudspeakers to encourage Davidians to leave and not to fire on unarmed government vehicles. Though several cult members did open fire on the officers, the FBI's response was more CS gas. Still no Davidians left the building, choosing instead to weather out the attack with their gas masks in a cinder block room. Around noon, fires began to break out in different parts of the compound. As the fires spread, they prevented escape, and any Davidians that had remained in the compound were trapped. Only nine people managed to escape. Those remaining inside, inducing children, were either buried alive by rubble, shot, or suffocated by the fire. In total, 85 Davidians died...23 of them were children. Note: This is a highly controversial topic, and this blog isn't in the habit of muddying up the water, primarily for lack of space. As with all controversies, there are plenty of sources to read & debate the "who shot John". The purpose here was to objectively depict an historical event. They may not be a song, but you'll see them wagging back and forth at least once during every live performance of every metal song, whether its in the crowd or from the artists themselves. 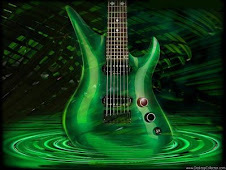 They are the "devil horns", and believe it or not, while they actually have an origin and global meaning outside of rock 'n' roll music, their history fits right in with the music. No one is exactly sure where and when the devil horns first broke onto the scene, but one thing we do know is that they are much older than rock 'n' roll. 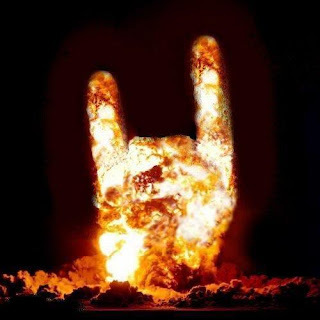 While many people are concerned that this hand gesture is Satanic or evil, it is, in fact, exactly the opposite: The sign of the horns is based on many old world superstitions as a gesture to ward of evil spirits, danger, curses, and bad luck. Dating as far back as Ancient Greece, this symbol has a varied significance in many cultures, ranging from being a superstitious folk symbol in some Mediterranean countries to being the symbolic and ritualistic religious Karana mudra symbol of Hinduism, Buddhism, and Taoism, which is to keep curses and negative thoughts away. In Central and South America, the mano cornuta as they are sometimes called are often accompanied by a verbalization. In Peru, the word contra (meaning "against") is spoken at the time the sign is given, and is meant to ward off whatever evil fate the gesturer is confronted with. Likewise, in the Dominican Republic, the word zafa is used in conjunction with the sign to ward of a particular curse, called a fukú (and any person associated with the casting of the curse). In Cuba and Brazil, the symbol is sometimes used to indicate a person whose spouse has been unfaithful. Elsewhere in the world, the sign is given when black cats and hearses cross one's path and was even used to indicate a person one suspected of witchcraft; the sign is used in much the same ways as knocking on wood or throwing salt over the shoulder. In addition to the devil horns' use as a good symbol against evil, the sign is also often mistaken for the American Sign Language gesture for "I Love You", and if you happen to go to the University of Texas at Austin, the sign means "Hook 'em Horns!" and looks like a Texas longhorn steer, the UT mascot. This is very similar to the South African use of the horns as "Give it a 6!" which is a shorthand gesture for something excellent. 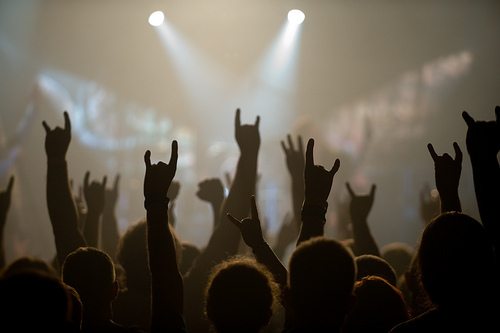 In Western Pop Culture, the devil horns are used in Heavy Metal, often accompanied by headbanging and is used by fans and artists alike as a signal of their enjoyment of the music and the moment. While he didn't invent it, use of the symbol was made popular by the late, great Ronnie James Dio (Elf, Blackmore's Rainbow, Black Sabbath, Heaven & Hell, Dio). In this reference, the symbol is called the maloik, which is a symbol Dio's Italian grandmother used when he was a child to ward off the Evil Eye, or malocchio. Dio learned the symbol from his grandmother, who was drawing off an ancient Carpathian supsersition (which was even mentioned in Bram Stoker's "Dracula" in 1897). The making of the devil horns is essentially to poke the Devil in the eyes with the index and pinky fingers to make yourself invisible to him. In 1979, Dio replaced Ozzy Osbourne as lead singer of the band Black Sabbath. Ozzy was known for connecting with his fans by using the peace sign with his index and middle fingers. 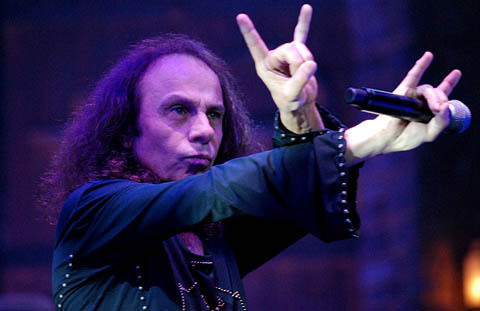 Dio, also wanting to connect with the fans but not wanting to steal Ozzy's play, chose to use the sign his grandmother always used. The fans thought it was cool and did it back to him. The sign may have been used by other artists from as early as 1968, but it was Dio's use during his first Black Sabbath tour as lead singer that the sign was adopted by fans and reciprocated. Ever since then it has been the symbol in the heavy metal community to "rock on". 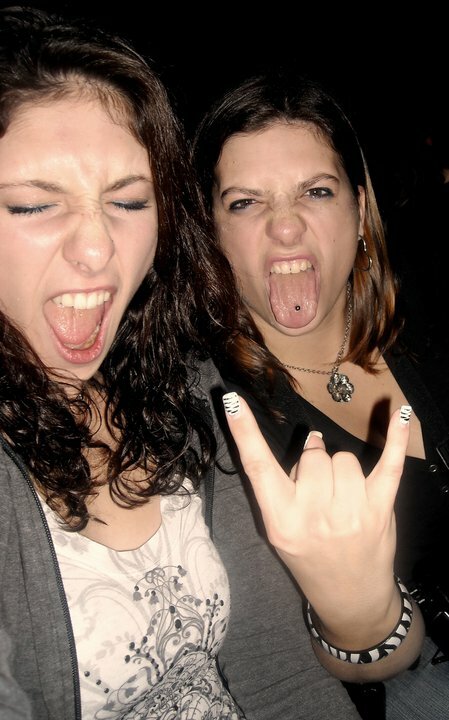 The maloik, as it pertains to music, is now a symbol of solidarity and group identification among heavy metal fans. Metal-Rules.com – "I want to ask you about the sign created by raising your index and little finger. Some call it the "devils hand" or the "evil eye." I would like to know if you were the first one to introduce this to the metal world and what this symbol represents to you?" R.J. Dio – "I doubt very much if I would be the first one who ever did that. That's like saying I invented the wheel, I'm sure someone did that at some other point. I think you'd have to say that I made it fashionable. I used it so much and all the time and it had become my trademark until the Britney Spears audience decided to do it as well. So it kind of lost its meaning with that. But it was…I was in Sabbath at the time. It was symbol that I thought was reflective of what that band was supposed to be all about. It's NOT the devil's sign like we're here with the devil. It's an Italian thing I got from my Grandmother called the 'Malocchio'. It's to ward off the Evil Eye or to give the Evil Eye, depending on which way you do it. It's just a symbol but it had magical incantations and attitudes to it and I felt it worked very well with Sabbath. So I became very noted for it and then everybody else started to pick up on it and away it went. But I would never say I take credit for being the first to do it. I say because I did it so much that it became the symbol of rock and roll of some kind." Ronnie James Dio - "Rainbow In The Dark"